Residential Plot at Indirapuri -Loni Ghaziabad UP. Contact Details : Contact The Authorised Officer Phone Number: - 011- 28752985,28752995 ,7042697906 in working Hours Only. Lot details : Residential Plot 15-A area 1000 sq yds. 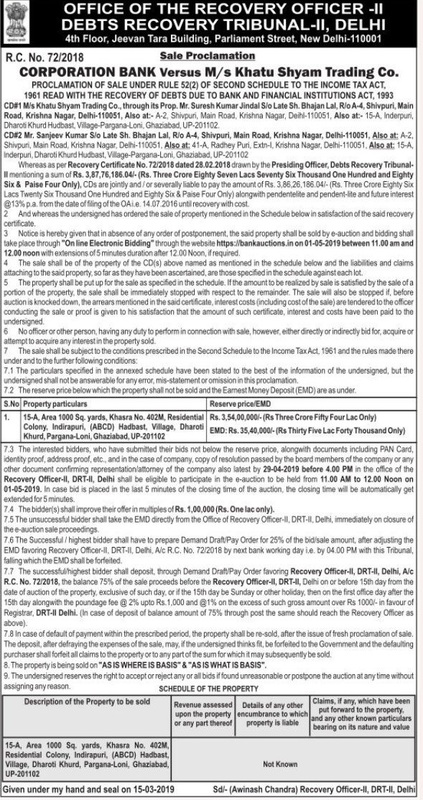 Schedule of Property : 15-A area 1000 sq yds khasara no 402 residental Colony Indirapuri -Loni Ghaziabad UP. Inspection Details : Contact The Authorised Officer Phone Number: - 011- 28752985,28752995 ,7042697906 in working Hours Only.